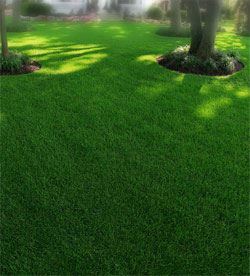 Turf Smooth even grade with good physical appearance, even texture and good green color. Decks, Benches High-quality materials with a good foundation and adequate structural strength, good construction detail. Fences Plumb not warped, post set properly in concrete so water drains away. Along with those areas, the CLCA will also be looking over appearance of your trees, shrubs, groundcover and turf. Is it all healthy and vibrant? Is it properly pruned? Is it weed free? Obviously, to meet the rigorous standards set forth by the judging panel, you’re going to need to whip your East Bay yard into shape. The first step would be to get rid of all the yard waste. That can easily be accomplished when you hire a local East Bay yard waste removal company like Junk King. These are the work crews that specialize is hauling dirt, sod, dead bushes and fallen tree limbs. Once all of that refuse is taken away, you can begin the real work of proper landscaping. Think of this removal process as providing you with a blank slate to work on. In the realm of yard waste removal, the piles that can be taken away by the professional crew don’t just have to be “of the earth.” These can also be all those things in your yard that were brought in or you inherited. Under the “brought in” category would be the leftover materials from finished (or unfinished!) projects like wood scraps, dry wall and remodeling waste. Under the “inherited” category would be things like an old deck you plan to rip up or a crumbling patio that you’re replacing. Once the demolition is complete on those items all that waste can be haul away. Naturally, you can still do this work just to get your yard in shape for the summer and to feel good about your surroundings. You don’t have to try to win a trophy. On the other hand, why not go for it? For the best in East Bay Area Yard Waste Removal simply call 1-888-888-JUNK or book a free on site estimate online. This entry was posted in East Bay Junk Removal, Junk King Alameda, Yard Waste Removal and tagged east bay landscaping, east bay yards, oakland yard waste removal, Yard Waste Removal on March 28, 2011 by Junk King. Last updated August 4, 2017 .